We’d love your help. 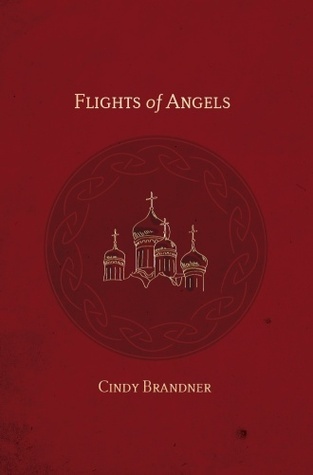 Let us know what’s wrong with this preview of Flights of Angels by Cindy Brandner. Meticulously researched and brilliantly written, this, the third book in Cindy Brandner's magnificent Exit Unicorns series continues the story of Casey and Pamela Riordan, Pat Riordan and Jamie Kirkpatrick. Trapped by circumstance and the events of his past in the USSR, Jamie Kirpatrick struggles to survive in a hostile environment where not all is as it seems, and blood bonds are forged with enemies in order to survive. In Ireland, Pamela and Casey Riordan attempt to live a normal life amidst deceit, betrayal and an unofficial war that claims more than just blood. Bequeathed a legacy by Jamie Kirkpatrick, they struggle to keep an empire intact but cannot know the surprises that await them. To ask other readers questions about Flights of Angels, please sign up. This sweeping series continues with the characters further entangled in the civil war in Northern Ireland and the consequences of patriotism and international intrigue.The plot is twisty, complicated and by turns heartbreaking,uplifting and yes, at times outrageously funny. The expansion of James Kirkpatrick's role as a man of international intrigue gets a lot of play as does the history of the Soviet Union.Initially I had some trouble getting into this part of the story. But it grew on me as I This sweeping series continues with the characters further entangled in the civil war in Northern Ireland and the consequences of patriotism and international intrigue.The plot is twisty, complicated and by turns heartbreaking,uplifting and yes, at times outrageously funny. The expansion of James Kirkpatrick's role as a man of international intrigue gets a lot of play as does the history of the Soviet Union.Initially I had some trouble getting into this part of the story. But it grew on me as I saw the parallels between the two countries. The Riordans deeper in love than ever, attempt to live a normal life. But normalcy is elusive, as The Troubles in Belfast continue to pull at the threads of their relationship. The puppeteers of civil war, those shadowy figures in government and religion who seek to further their own agenda continue to pull the strings of the Irish people. I continue to marvel at the author's command of the written word. Her ability to transport her reader into the life and times of her characters is magical. The ability to educate and entertain one's readers is a hallmark of a talented writer. To transport a reader into the midst of the plot so they feel they are living what the characters are is pure genius. After finishing this third installment,I was drained. I will take a break, read something a little lighter then return to Northern Ireland. Flights of Angels is the 3rd installment of the Exit Unicorn Series and, WOW, is it good! I've read all three books and my review today will talk about this book and the writer, Cindy Brandner. First, the story. Just be ready for a well played drama as things unfold for Casey & Pamela, Patrick and Jamie. There are ups and downs, light and darkness, and personal growth for all of these wonderful characters. You get drawn into a spiders web of intricate story lines, that are truly connected, ev Flights of Angels is the 3rd installment of the Exit Unicorn Series and, WOW, is it good! I've read all three books and my review today will talk about this book and the writer, Cindy Brandner. First, the story. Just be ready for a well played drama as things unfold for Casey & Pamela, Patrick and Jamie. There are ups and downs, light and darkness, and personal growth for all of these wonderful characters. You get drawn into a spiders web of intricate story lines, that are truly connected, even if they exist in different countries as the author takes you through the harshness of Belfast and the tranquil Irish countryside, as well as the harsh Russian landscape. If I had to sum up this story in one word it would - emotional. Each character is challenged in his or her own way and they must muster up the right amount of moxee to face their own personal demons and move forward. It's worth every minute to see how this story unfolds and the ending will leave you wanting more. Now, the author. I have read all of Cindy Brandner's novels and I can say I have seen a growth and evolution in her writing. Each book is excellent and it seems impossible for Ms. Brandner to get better, but she does. As a reader who wants to be entertained, challenged and learn something in each book I read, I am never disappointed in the Exit Unicorn Series. Ms. Brandner has a way with showing you the heart of the matter through her lyrical writing. But don't think its all flowery fluff. It's not. Ms. Brandner's writing is the perfect balance of beauty and directness - no piece of her puzzle is without purpose. She doesn't waste your time. You know what you are reading is important to the story, and the layers of each piece bring you to a place very few authors can: satisfaction. Recommends it for: anyone who enjoys historical sagas. this is the third book in the Exit Unicorn series. In the beginning of the book it was a little hard to follow, but followed the two previous books in the series with the same characters, set in a different part of the world. Once I got into the book I couldn't put it down. Cindy Brandner is one of the finest story tellers. You can transport yourself and touch the characters, feelings and she is also a great historical writer. I hope their will be a 4th in this beautiful continuing saga. Ms. Brandner continues to enchant me with her gift of language. Her ability to immediately engage me so delightfully reminds me of Ray Bradbury's Dandelion Wine. It's just a pleasure to read, and I was sorry when the the last page arrived. Besides that, the story of Ireland and its people is fascinating, especially the love Ireland's people hold for her. I was first made aware of England's oppression of the Irish people as I traveled a bus down its narrow roads. (Yes, we DID have to stop for a f Ms. Brandner continues to enchant me with her gift of language. Her ability to immediately engage me so delightfully reminds me of Ray Bradbury's Dandelion Wine. It's just a pleasure to read, and I was sorry when the the last page arrived. The Exit Unicorn series reminded me of Diana Gabaldon's Outlander series except that this is Irish(rather than Scottish) history and there isn't any time traveling . A lot of prose and the primary location is Ireland though this last book includes Japan and Russia and really explores Jamie's psych. I loved it and can't wait to read the next installment. I would be astonished if Cindy Brandner has not read and been inspired by the works of Diana Gabaldon. Having completed the three (so far) books of the Exit Unicorns series, with Flights of Angels being the most recent, I see many elements shared by the works of these two very talented authors. A sense of history, excellent research, facility with language and dialect, the ability to create remarkably real characters... both Gabaldon and Brandner exhibit all these talents. Toss in a swoon-worthy I would be astonished if Cindy Brandner has not read and been inspired by the works of Diana Gabaldon. Having completed the three (so far) books of the Exit Unicorns series, with Flights of Angels being the most recent, I see many elements shared by the works of these two very talented authors. A sense of history, excellent research, facility with language and dialect, the ability to create remarkably real characters... both Gabaldon and Brandner exhibit all these talents. Toss in a swoon-worthy "book boyfriend" or two, tension, adventure, humor, strong female characters, memorable supporting characters, and you have the makings of a great read. Flights of Angels takes place both in Ireland and the Soviet Union, and there is an authentic feel to the author's descriptions of both. Other reviewers have mentioned the fairytale that runs through Flights of Angels. It is well crafted, but I found myself skimming it, impatient to get on with the main story. It's about the only critique I have, apart from the sense that a little bit of editing for length might be helpful. I'm rating this 3 stars, because it took me so long to read. I reserve the higher stars for books that I can't put down and read in less than a month!! I have enjoyed this series. l have liked, disliked, been frustrated, annoyed and saddened by most of the characters in this ever evolving saga. I have found, in the last few series novels that I have read (Outlander, Game of Thrones, Harry Potter, The Century Trilogy, etc) that each subsequent novel gets longer and longerrrrr with just too much go I'm rating this 3 stars, because it took me so long to read. I reserve the higher stars for books that I can't put down and read in less than a month!! I have enjoyed this series. l have liked, disliked, been frustrated, annoyed and saddened by most of the characters in this ever evolving saga. I have found, in the last few series novels that I have read (Outlander, Game of Thrones, Harry Potter, The Century Trilogy, etc) that each subsequent novel gets longer and longerrrrr with just too much going on, that it lessens the original enthusiasm for the first of the series. With that said, Flights of Angels went in so many different directions that I kept hoping that as I went along, it would all be a cohesive ending and I could just swipe my hands together and sigh, "well, that was a job well done and now I'll just move on....". Wishful thinking. I will read the next one (hoping against hope) that it will not be another huge novel going in several different directions and will be under, with any luck, 300 pages?? Cindy Brandner is a writer unswayed -- by convention, by reader opinion, by her own wishes and hopes. She does what few writers are able to accomplish. She lets the story guide the pen rather than letting the pen tamper with the story. And it is a beautiful, painful story she tells. The latest installment in the Exit Unicorns series is woven together with intricate plot lines and fairy tales, a novel rife with mystery and heartache like the lands of its backdrop. We gain a glimpse of the deeper w Cindy Brandner is a writer unswayed -- by convention, by reader opinion, by her own wishes and hopes. She does what few writers are able to accomplish. She lets the story guide the pen rather than letting the pen tamper with the story. And it is a beautiful, painful story she tells. The latest installment in the Exit Unicorns series is woven together with intricate plot lines and fairy tales, a novel rife with mystery and heartache like the lands of its backdrop. We gain a glimpse of the deeper workings of her characters as each walks the knife’s edge. And with such challenges come the victories, the losses and the inevitable change. Brilliantly written, Flights of Angels takes the reader to the deepest levels of humanity and survival. The third book of the Exit Unicorn -story is a magnificent adventure. The characters, Jamie, Casey, Pamela and Pat are drawn through Russian forests and stormy Irish coasts. Their lives are in danger due to their own choices and the political settings in Ireland. Yet the most beautiful things can be found hidden in Russia and the most dangerous paths open up in one's own mind. Not to be taken lightly is this storyline. Third book in the Exit Unicorn series. This book again went into a completely different direction than what I expected but after reading it was exactly where the story needed to go. Another excellent story from Cindy, anxiously awaiting the fourth book. The author has an exceptional ability to pull the reader into her stories and keep them thereon after the books are finished. I look forward to reading more from this author. This series has gotten better with every subsequent book. I really enjoy her interesting characters and her style of prose. This was certainly a complete story but it ended in quite a cliff hanger. Can't wait for the fourth book! I love each book more as I continue in this series. The author continues to surprise and keep suspense high throughout this epic tale. Her characters are consistent, but have grown with their experiences. Cindy Brandner gives all the necessary information but I find myself researching different historical events and different places just because I want to know more! I feel as though these characters are people I have met, she makes them do tangible! Do yourself a favor, and read these books! The continuing saga of three main characters trying to live the most honorable of lives in dishonorable environment keeps me riveted. I know in my mind that they are fictional, but my heart knows that they are real. The exposition is beautifully poetic. I find myself transcended in time and space, a mental and emotional virtual reality. I'm between book releases, I find myself thinking of the characters and worrying about their futures. Start with the first book, Exit Unicorn. This was the best of the series to date, and I will move forward immediately with the next book, In the Country of Shadows! Wow! I love the writing concerning nature and the world. Lots of exciting things happened in this book that spanned several continents in truly unexpected ways. I have great admiration for Cindy Brandner, and she is a truly inspired writer. What great fun! Sigh. I am immersed in these characters. Flights of Angels is quite a journey. The Far East , Russia, Ireland, Paris & the land of the wee folk are all intertwined. We learn more about Jamie Kirkpatrick and see the strength in Pamela, Casey, Pat & David. All of this is grounded in the violence of Northern Ireland in the 1970s. A must read ! This author breathes beauty and sorrow to life with her words! Love this book. Really enjoyed reading about life in Russia. She really knows how to change each book up and make it just as interesting. I have told my fellow readers many times that Mermaid in a Bowl of Tears by Cindy Brandner is my favorite Exit Unicorns book. That was the book that clicked for me. I got sucked in more instantly than I did with Exit Unicorns, and its story was the one to prove to me that Ms Brandner's work is truly exceptional. That being said, Flights of Angels, book three in the Exit Unicorns series, sold me for good. This book in particular has taken the Exit Unicorns series off my "favorite series" list, and I have told my fellow readers many times that Mermaid in a Bowl of Tears by Cindy Brandner is my favorite Exit Unicorns book. That was the book that clicked for me. I got sucked in more instantly than I did with Exit Unicorns, and its story was the one to prove to me that Ms Brandner's work is truly exceptional. Cindy Brandner's storytelling in Flights of Angels (Jamie's story in particular) sets the bar higher than ever before. Now, authors I read will have to prove themselves if I am to compare their writing to Ms Brandner's. As I look back on my read of the series, I stand by my previous statement (in my Mermaid in a Bowl of Tears review, I think), that her writing has gotten better, more advanced, and her stories have grown into a stunning masterpiece. There are many books I read and review on The Literary Connoisseur that I truly enjoy. I find them fun, charming, and satisfying to a reader's mind. I read many books that reach that standard of mine, but Ms Brandner's Exit Unicorn series is truly exceptional. She has bypassed the "favorite review requests" category in my head, and has proven what she is capable of. Cindy Brandner's books deserve to be the first thing you see as soon as you walk into Barnes and Noble. When The Reading Room, or Book Riot posts "books to read to bring you out of your reading lull," Exit Unicorns should be front and center. If you haven't delved into the world of Exit Unicorns, then you are missing out on an epic work of art!! I started reading the first book 3 different times before I got to the halfway point early last year. After that, I was transported into the world of the characters of this phenomenal series. I then read books 2 and 3 respectively consuming over 2000 pages of literary genius in only 3 short months. This was not good, as this book, book four "In the Country of Shadows" wasn't going to be relea If you haven't delved into the world of Exit Unicorns, then you are missing out on an epic work of art!! I started reading the first book 3 different times before I got to the halfway point early last year. After that, I was transported into the world of the characters of this phenomenal series. I then read books 2 and 3 respectively consuming over 2000 pages of literary genius in only 3 short months. This was not good, as this book, book four "In the Country of Shadows" wasn't going to be released for a year!! So the time came, and I was swamped with work, but I finally got to delve in, and what a ride it was!! This book is bloody brilliant. It is by far my FAVOURITE of the series. Cindy writes like no other person I have read. She is a master storyteller, and you are transported into the story through beautifully written prose. I could feel and see everything she described as if I was there. I have fallen in love with the characters, and this story so much. I have always had a love for all things Irish, but as The Troubles started before I was born, I was never aware of Ireland's bloody past. This series has taught me history, it has taught me about passion, it has taught me about strength, and most of all it has taught me about true and passionate love for one's country. You will laugh, you will cry, you will feel joy and such sorrow. You will feel love, and passion like no other. If you have a passion for all things Irish, then this is a series you can not afford to miss out on! Read it! You won't be sorry. Bloody brilliant! I’d be lying if I didn’t say Flights of Angels was a hard slog. Having not read the previous novels, I feel I may have been missing some background knowledge that may have made this novel more easily enjoyable yet I still ploughed on and felt, on the whole, it was an enjoyable read although the length may be a bit extreme. I particularly enjoyed Jamie’s tale, as he is trapped in the gulag and finds humanity in the strangest of places. I enjoyed the descriptive nature of the passages during this s I’d be lying if I didn’t say Flights of Angels was a hard slog. Having not read the previous novels, I feel I may have been missing some background knowledge that may have made this novel more easily enjoyable yet I still ploughed on and felt, on the whole, it was an enjoyable read although the length may be a bit extreme. I particularly enjoyed Jamie’s tale, as he is trapped in the gulag and finds humanity in the strangest of places. I enjoyed the descriptive nature of the passages during this section and feel the author drew an extremely delicate and interesting portrait of Russia at the time. I also felt genuine empathy and connection with Pamela’s character. Throughout I felt she was the strongest and most interesting character by far although not far behind her came Pat and Kate, both of whom I felt deserved more of the story, considering its length. With over 700 pages, this novel isn’t a quick read and takes its time to get to its conclusion but the depth of characters this allows for makes it more acceptable. Generally engaging but slightly overwritten, definitely a novel I’m glad I read. This third book in the series I found to be kind of an odd duck and I had to laugh at another reviewer's comment that if the author had just left out all the cups of tea, the book would have been much shorter. This book, more than the first two, seemed at times to be a case of a good storyteller gone a bit wild. Jamie's adventures in Russia include the life stories of every Russian who has any significance at all. It also has a fairy tale woven through it, the story of a boy named Jack, his dog This third book in the series I found to be kind of an odd duck and I had to laugh at another reviewer's comment that if the author had just left out all the cups of tea, the book would have been much shorter. This book, more than the first two, seemed at times to be a case of a good storyteller gone a bit wild. Jamie's adventures in Russia include the life stories of every Russian who has any significance at all. It also has a fairy tale woven through it, the story of a boy named Jack, his dog Aengus, and Jack's search for the Crooked Man, who stole dreams from Jack's pocket. I need to reread the book and work out the role the fairy tale plays. I must say that as interesting as I found each Russian's tale, I could have done with a bit less of Russia and a faster return to the main storyline with Pat, Casey, and Pamela in Ireland. That said, Brandner is a good storyteller, and for that I'm willing to go along for the ride. This story has such passion ,loyalty for one another, one of heritage and country. You have stories of legends and such poetry, then the hardship of war, lost , unjustified imprisonment, lost and betrayal. I can't believe how this book ended! I have so many questions. Where is Casey? What is happening with Jamie, Patrick, and Pamela? It has left me needing answers, it ended to soon. I do look forward to a 4th book, I need answers This can't be the end. I have stuck with this series (Exit Unicorns) because of the gorgeous writing, although, as always, I think the winding structure and wandering plot leave something to be desired. I've also enjoyed learning so much about contemporary Irish history, as these events were never fully covered in my news reading at the time. I think this book is one of the better ones of the series.